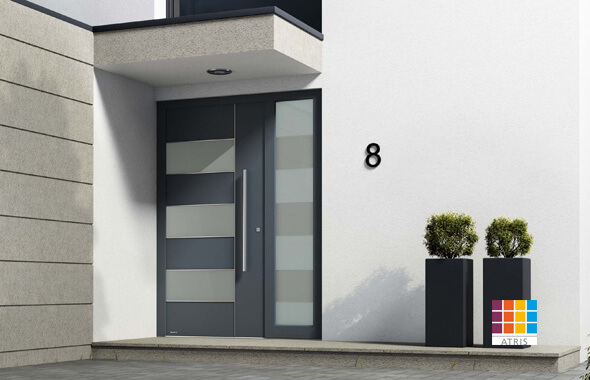 Even the standard, aluminium entrance doors from Weru boast numerous benefits, such as the self-locking AutoLock, laminated security glazing, three sturdy hinges and a broad range of standard handles. The base price of the doors as well as the side panel always relates to the standard equipment listed below. If you select additional packages or accessory equipment, the price will increase accordingly. If you want to make your door even more individual with handles, colours, security or convenience, use our equipment packages.  <img class='wp-image-1150 size-full alignleft' src='https://weru.uk/wp-content/uploads/2015/12/Hochwärmedämmende_Füllung.jpg' alt='' width='100' height='100' /></p> <p><strong>Thermal insulation panel</strong></p> <p>Highly-insulating panels for optimised thermal insulation values and comfort in your home. <img class='wp-image-1149 size-full alignleft' src='https://weru.uk/wp-content/uploads/2015/12/Griffe_100x53.jpg' alt='' width='100' height='53' /></p> <p><strong>Handle selection</strong></p> <p>The standard equipment offers a choice of 14 exterior handles and 8 interior handles. <img class='wp-image-1148 size-full alignleft' src='https://weru.uk/wp-content/uploads/2015/12/Spezielle_Griffbefestigung.jpg' alt='' width='100' height='100' /></p> <p><strong>Special handle attachment</strong></p> <p>Handle backplates ensure the handles fit securely and permanently – even after many years. * Georgian bar doors are produced in clear glass as standard. Patterned glass is available at a surcharge. ** With standard equipment and a door dimension of 1230 x 2180 mm. Additional equipment further improves the thermal insulation values. Even the standard equipment allows you to adapt your door to your individual needs. 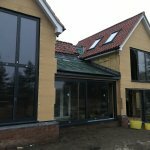 Your aluminium door can be made even more exclusive and personal with the Colour and Handles equipment packages, as well as the additional design options. You can design your doors glazed sections with quality sand-blasted motifs, installed as centrally in the glazing unit to protect it, or choose from 20 different patterned glass. 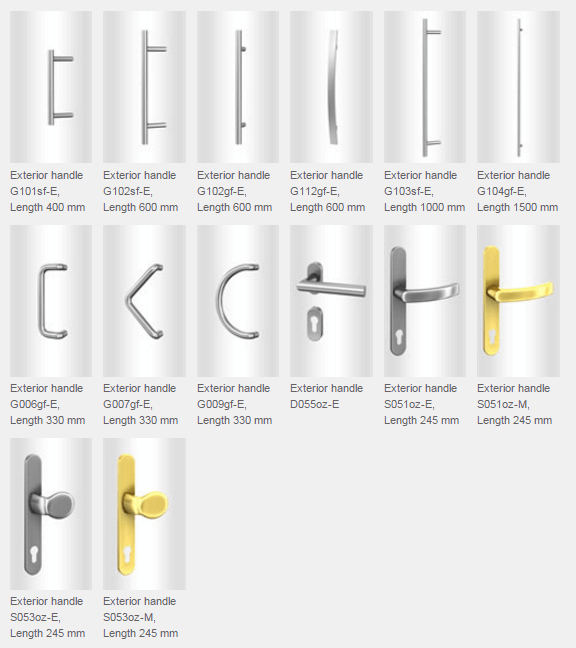 Choose your desired handle from 14 different standard handles, and equip your door either with a semi-recessed round, square or surface-mounted rosette. Equip your door with either a recessed round rosette or a surface-mounted rosette. Six different designs are available as standard. The standard equipment includes an interior door lever handle. 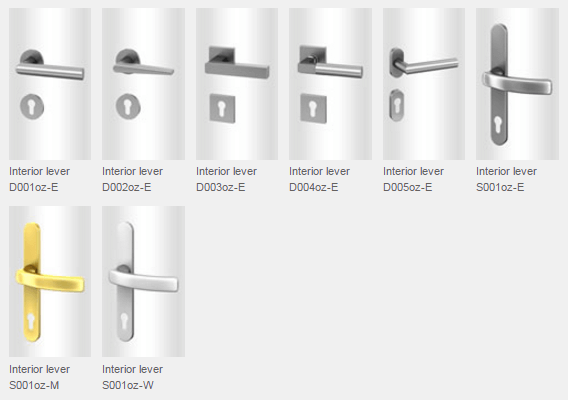 Select your internal door lever from 8 different designs. The standard colour for Weru aluminium doors is Traffic white RAL 9016M.